Is at Ribandar on the left bank of the River Mandovi, mid-way between Old Goa and Panjim. It is built in baroque style with an imposing facade with a spectacular view of islands and the historical churches of Old Goa. 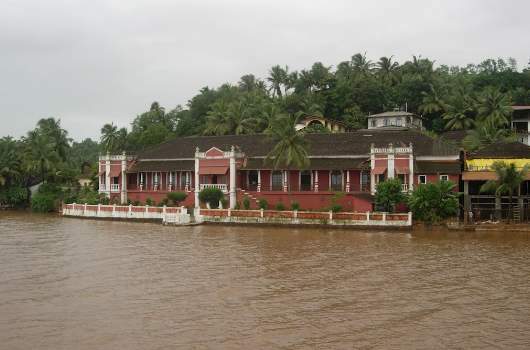 It is, probably, the only Goan mansion that faces the river. 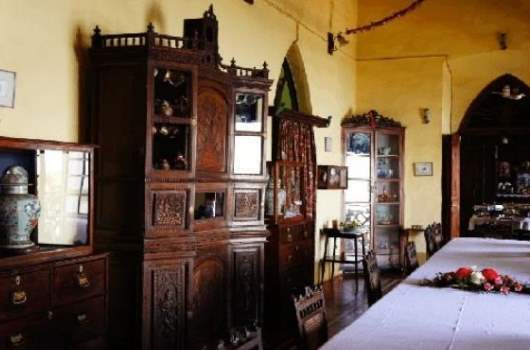 Typical of the ambivalence of the times, Nazario Colaco II carved a sideboard of his dining room with scenes from the Ramayana. 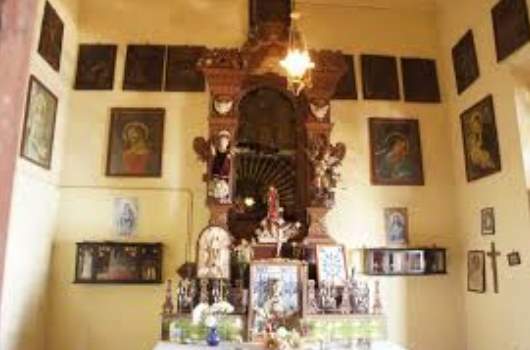 But this is counterbalanced by the strident Catholicism of the family’s private chapel.